"Hold back the river, let me look in your eyes." 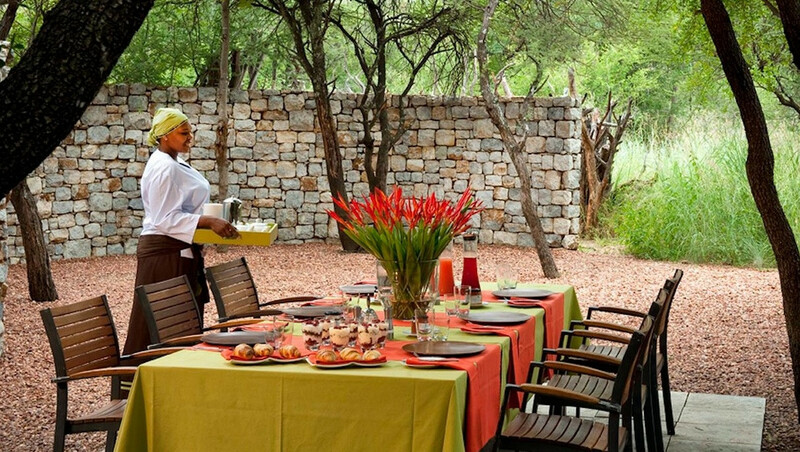 You'll close your eyes as you listen to the Marico River at this restful multi-level luxury African river retreat. With a perfect indoor/outdoor flow, you can book this completely private location on it's own or in conjunction with the Owner’s House. This is an ideal combination should you wish to book both for a larger party that requires shared gatherings along with maximum privacy. Party perfect, we'd say. A multi-level luxury house perched on the banks of the Marico River, where the background track of cascading waters will coax you into a permanent state of restful bliss. River House comprises of three double en-suite bedrooms, each featuring every comfort, including super-king size beds, crackling log fires (Gas fires), cooling and heating A/C, and large tree-shaded private decks. The spacious bathrooms have tubs with bush views and indoor as well as outdoor private showers. Four children can be comfortably accommodated in the separate family room/study with bunk beds, where they have access to recreational facilities such as satellite TV, Playstation, computer with internet and DVDs. Like the Owner’s House, River House combines European styling with handpicked African pieces, wonderful indoor and outdoor flow, plenty of al fresco dining and unwinding opportunities, and the ultimate of holiday luxuries: a staff of seven to eight at your beck and call – including your own chef, butler, hostess, nanny (if needed), housekeeper and a private safari guide and tracker for you to personalize your itinerary completely. Note: River House enjoys a completely private location, yet surprisingly enough is within strolling distance of Owner’s House – an ideal combination should you wish to book both for a larger party that requires shared gatherings along with maximum privacy. Morukuru River House offers 3 bedrooms en-suite plus a study room which can be converted into a bedroom for maximum 4 small children. Morukuru River House can only be booked on exclusive use basis, including all meals, drinks and activities. 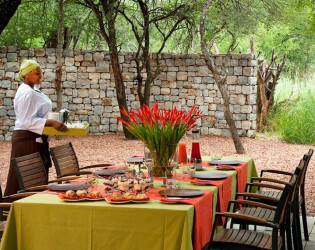 Also included are an open private safari vehicle, private guide, tracker, chef, butler and general housekeeping staff. Morukuru River House offers 3 bedrooms en-suite PLUS a study which doubles as a bedroom for maximum 4 small children.